Hope it is ok if I steal your idea? Really Really nice Sarge! When you get brave enough for a passaround I call first dibs! Little late in the game for that OE. I do believe that's the first time I ever heard that being said of me. 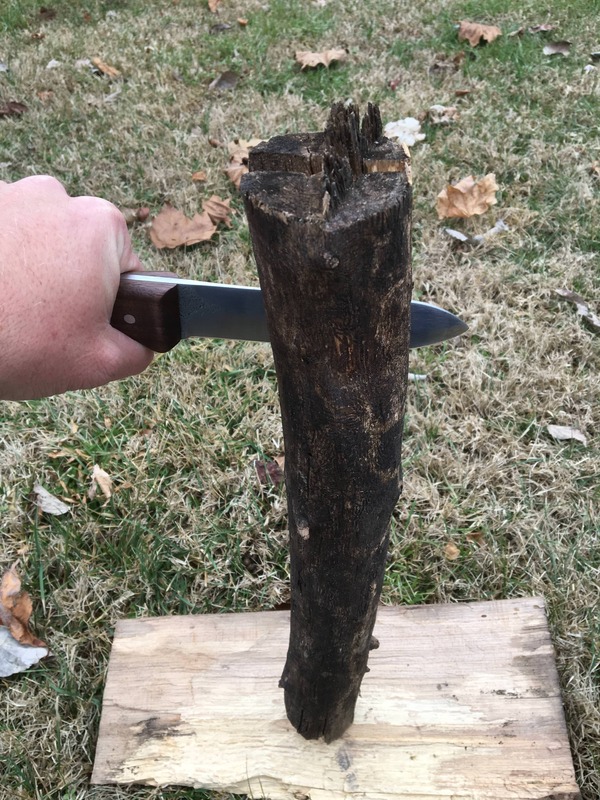 Well, I got it sharpened and finished the sheath for it. It cuts like the second one so I'm pleased with it. Love it! 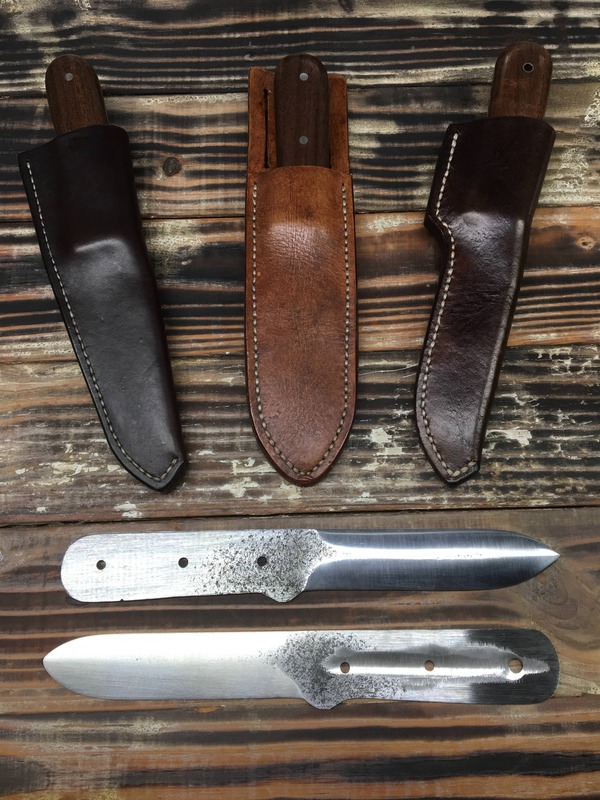 I really like the slim sheaths that aren't any bigger than they need to be. That is a great package. Safe to say you found the right one and can proceed with replicating it? I like the layard hole & sheath. Horace and I don't need no steenkin' lanyard holes! ........but we both love simple, moulded, pouch-style sheaths with NO retaining straps. 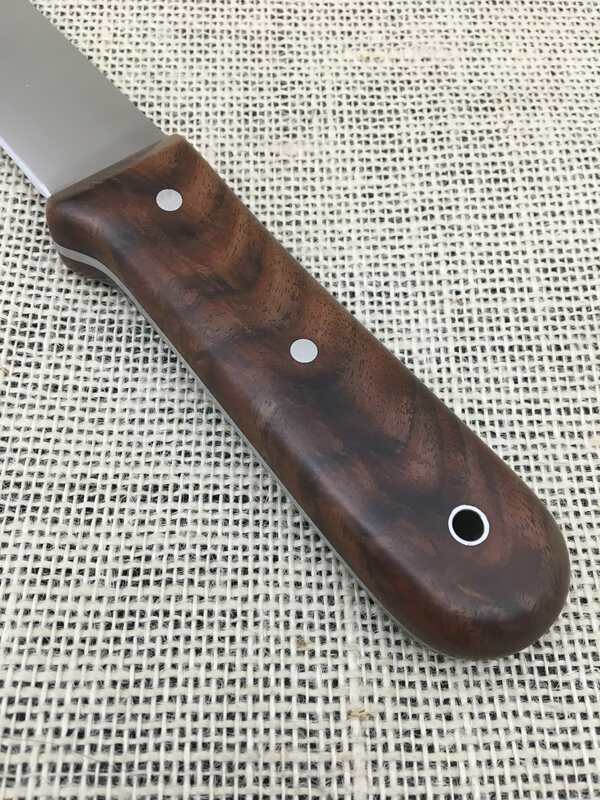 I too like no lanyard holes, fancy pins, or other stuff, on this particular knife. 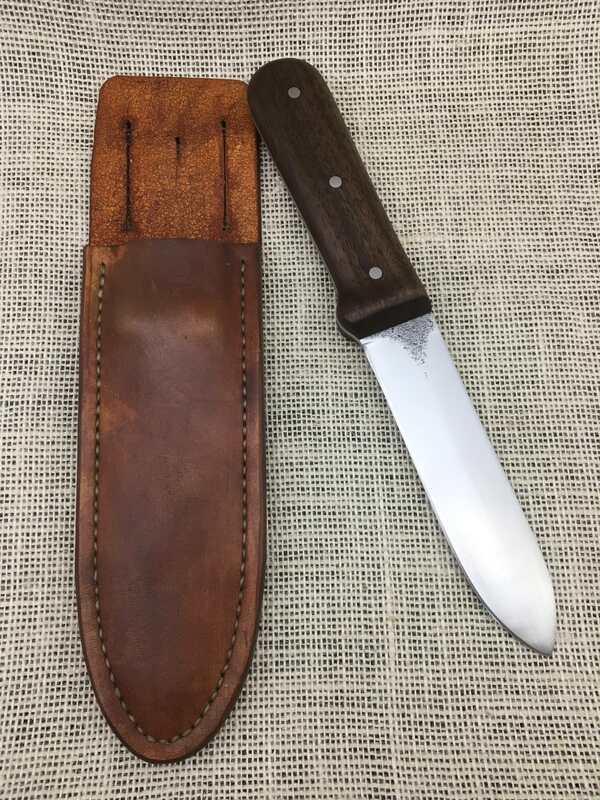 The sheath is fan *&^%^& ing tastic. 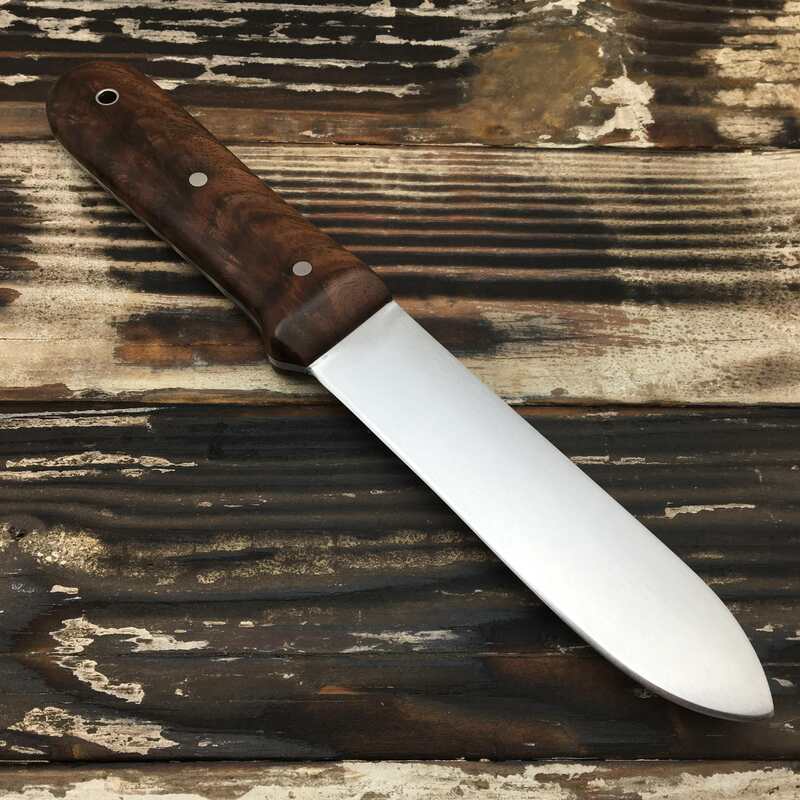 The reason for the simple approach to this knife is that is replicates an icon knife. If I had two of them one would be plain and the other could have the mosaic pins and lanyard hole and stuff like that. EXACTLY! 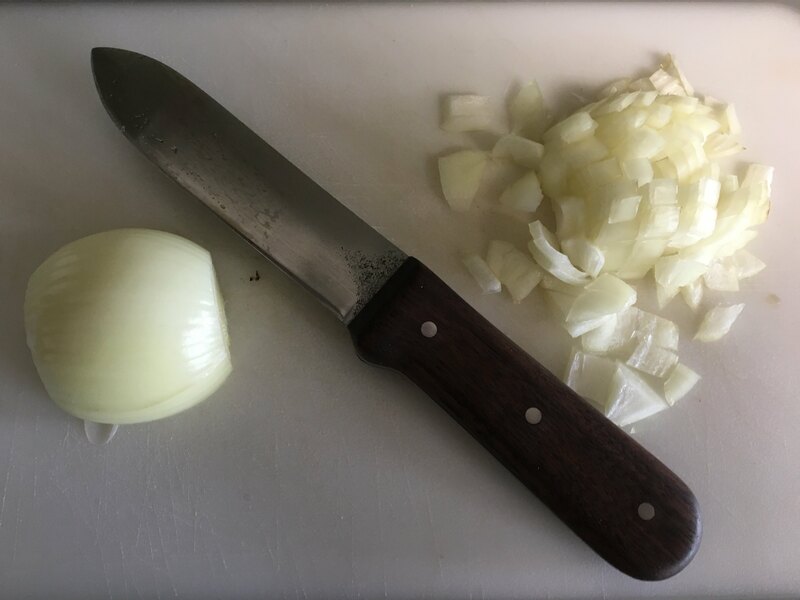 This IS an ICON knife and doesn't need foofaraw to make it 'better'....it's already better in its original-design simplicity. 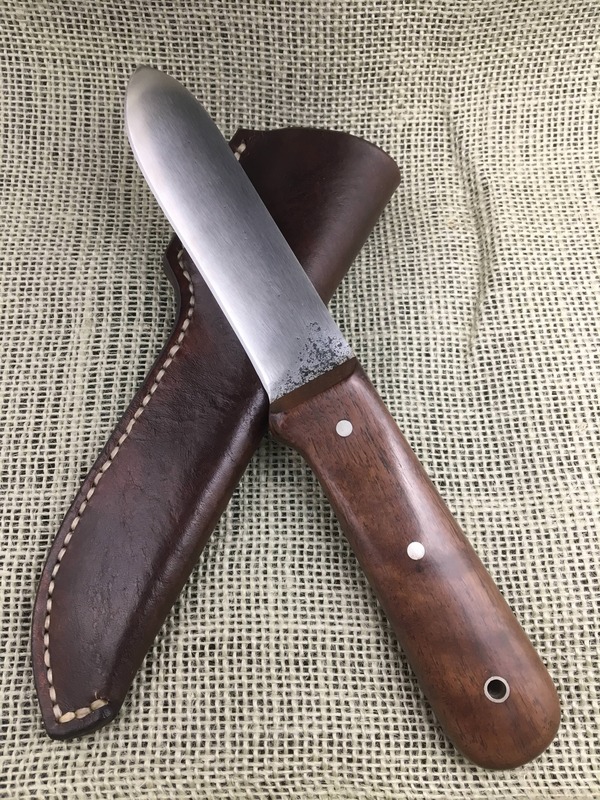 Since Sarge is a talented custom knife-maker that has been blessed with a RARE opportunity to measure and photograph an original, he can please EVERYONE that desires extras in theirs .....or for the purists among us , an even more rare opportunity to own a close-as-humanly-possible copy that hasn't been ed with, or one that has the original design sullied in any way, shape or form! Thanks, guys. 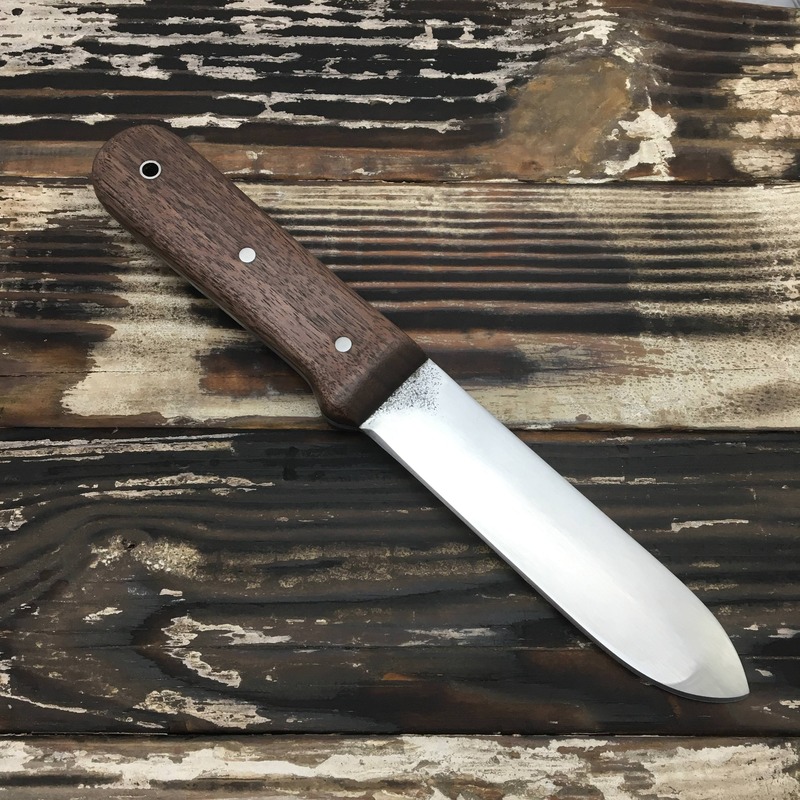 I really appreciate the interest in this knife. I am equally as excited by it. 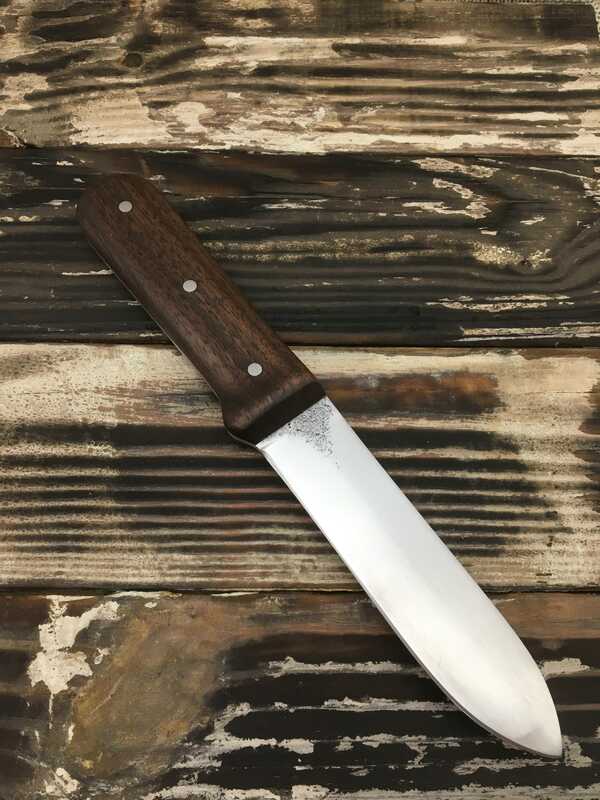 I don't know if Loveless coined the phrase or just repeated it but he's the first I heard say it regarding his classic skinner, "it's everything it needs to be and nothing it doesn't". That has been said about this knife, too. The original, at a glance, is so simple yet it has much going on. I won't pimp it out too much - just a lanyard tube here ... maybe a mosaic pin there. 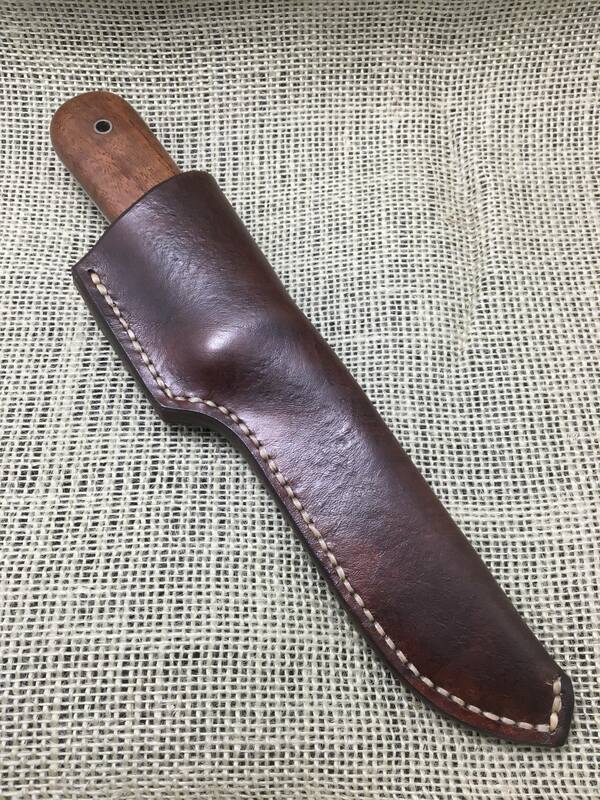 Same with the sheath. I think I like the latest one best thus far - simple, minimal, etc. Again "it's everything it needs to be and nothing it doesn't". 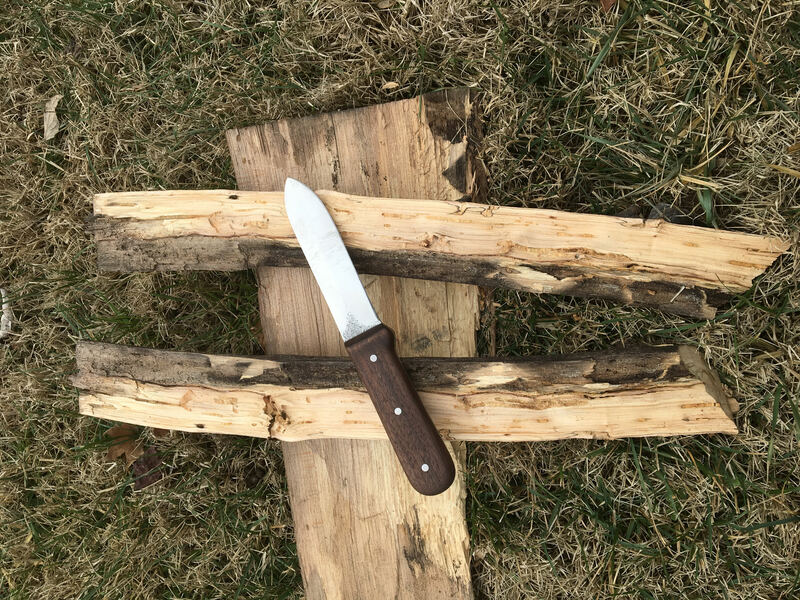 Knife #2 is probably the best cutting knife I've made to date. Knife #3 should be very close (geometry wise) - I just haven't used it as much. 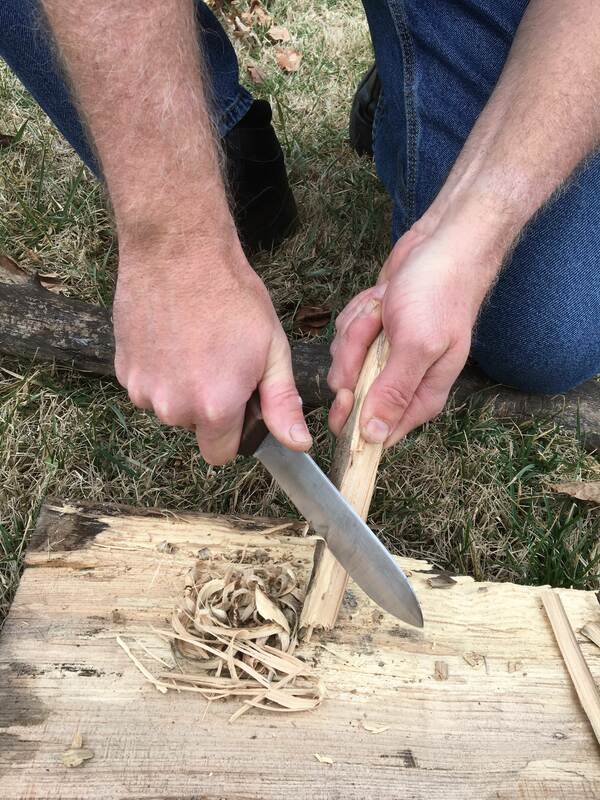 Put Knife #2 through the paces at a recent outing - several of us cut, chopped, shaved, whittled, and batoned hickory all weekend. I only stropped it once or twice the whole time. 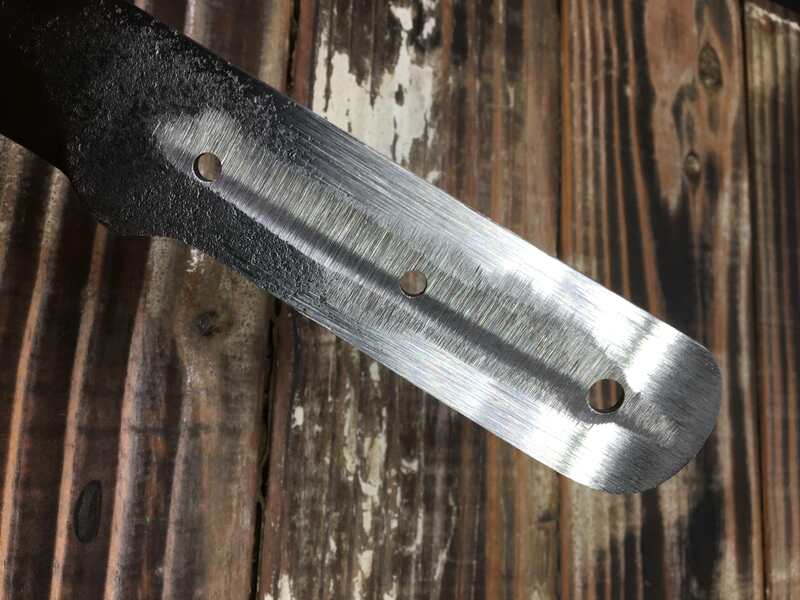 Not bad for saw blade mystery metal. I'm quite pleased with it. I'll get #4 under way asap. Thanks for that update Sarge. Those of us on the "where is mine?" list are pleased as punch with the progress you are making. 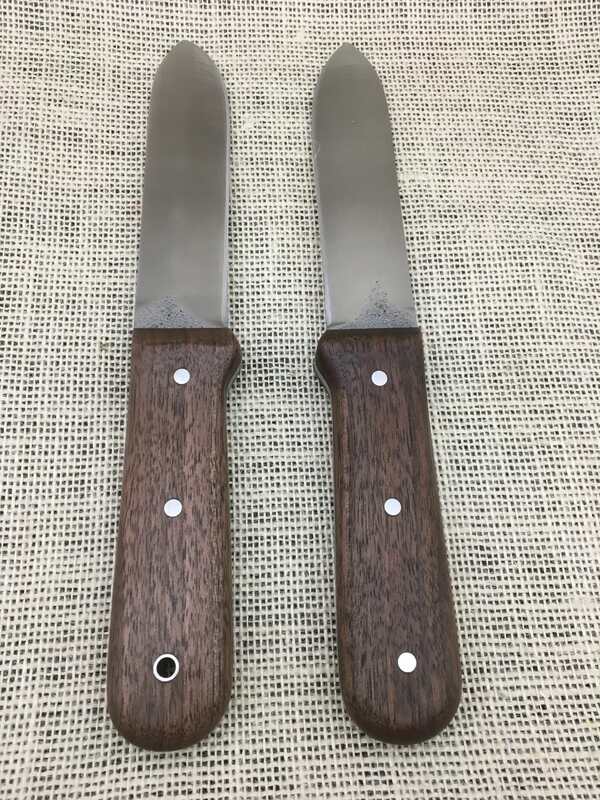 I like what Loveless said about particular knives. Spot on. of kepharts, a few because i dont want to do all of them in black walnut, just 2.
some of the wood i'll be using. and i hope to show them. btw, i hope this is'nt conciderd hijacking the thread in anyway. Take it from the King of Hijackers.....it ain't! Worked the past month or so clear off the work bench. Finally got back to this project this week. #1, 2, and 3 across the top. #4 is at the bottom of the pic (#5 is above #4). I feel like I'm getting close with the grinds but I'm trying to shave weight now. The original weighs in at 5.5 oz. and mine so far have been around 7 oz. I didn't think to weigh any of those blanks before I added scales. 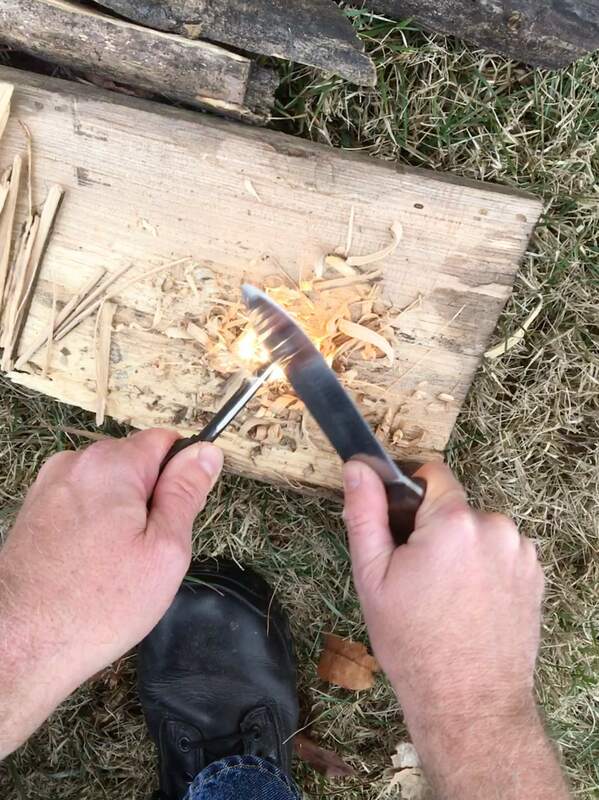 On #4, I tapered the blade and tang a little more that the first three. I also hollowed out the tang a bit and got the blank's weight down to 4.75 oz. I'll see how it ends up with scales/pins and see if I need to make the next blank even lighter before scales. Since you're getting this close......we need to talk before you make the actual 'Wolfhart.' I have a couple of thoughts & questions. I think my spot is after wolfy. Sarge, just make mine however you want. Closer to the original the better but tweaks here are there are fine. Thanks. 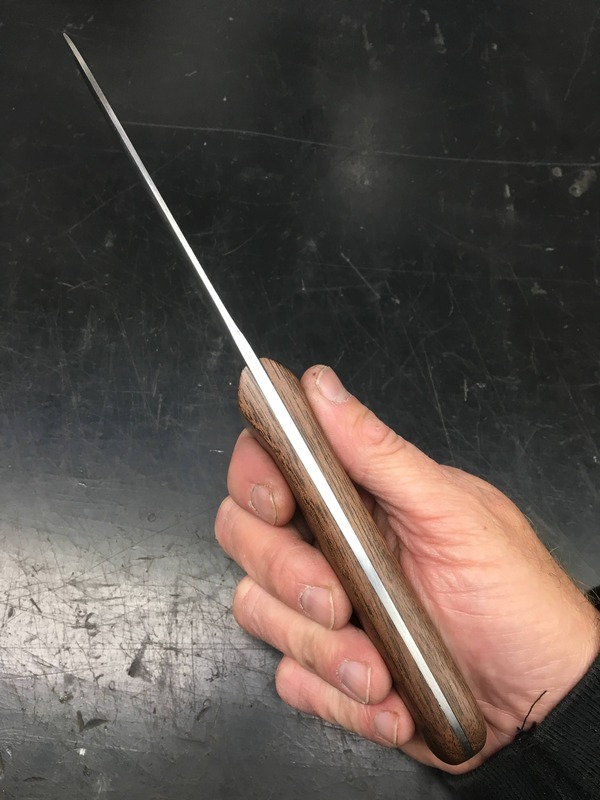 I used a caliper to check handle dimensions/thickness while shaping it. Not sure why I didn't do it with the others but I feel like I really got close to the shape and contour of the original this time. I tapered the tang a little more than the previous attempts to shed weight. In addition to the taper, I concave ground some more steel from the center of the tang. I got the blank down to 4.5 oz. before the scales / pins. I didn't weight any of the previous blanks before adding scales so now I know the target weight before adding them. The finished weight with scales and pins is 5.5 oz. - that's the weight of the original. As a result of lightening up the tang, the balance point is just slightly forward of the pinch point. 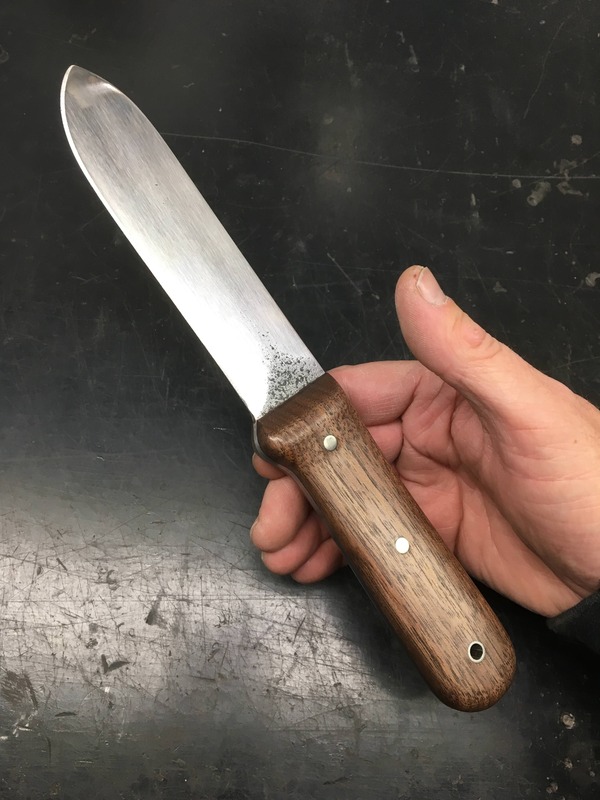 Not a big deal but with #5, I'll try to taper the blade a little more and the tang a little less to push the balance point back to the pinch point. 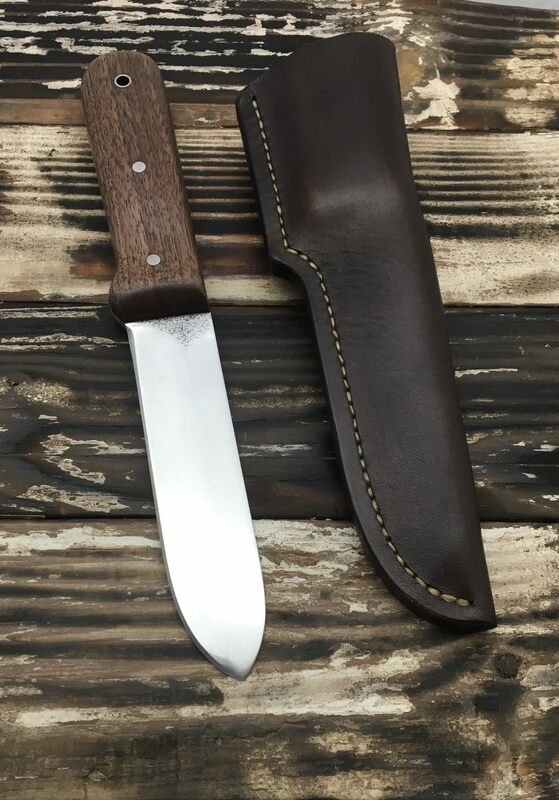 Kept it simple with the sheath. That is just WOW! Great job Sarge. Can't go wrong with Flounder, wolfy...after all, he's a legacy. 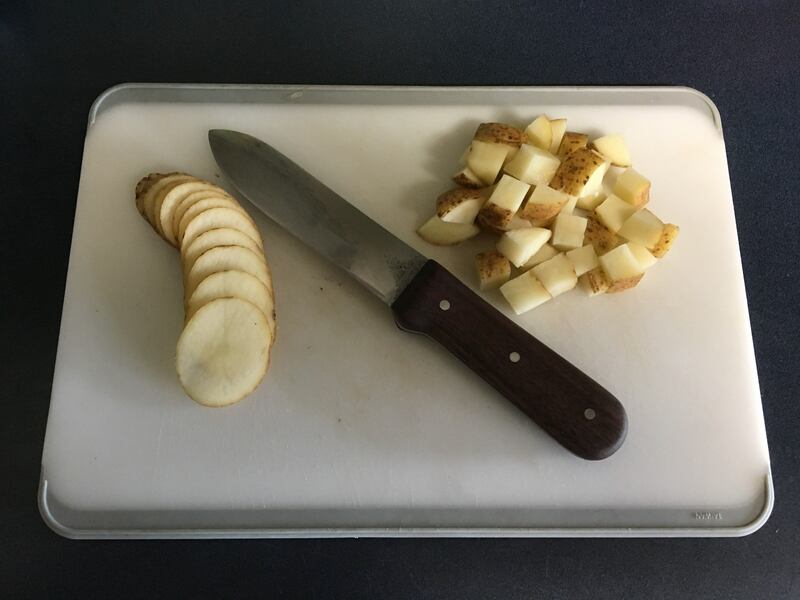 The knife as a whole just looks fantastic but the thing that stands out most to me is the precision of the tapers. Very nice. Heather said, "Now THAT'S funny!" A few days ago, we had snow on the ground, daytime highs in the teens and overnight lows in the single digits. I took advantage of temps in the upper 50's today and took Kephart #5 outside. #5 is very similar to #4 but no lanyard tube - just 3 pins like the original. Also got #5 to balance back closer to the pinch point. 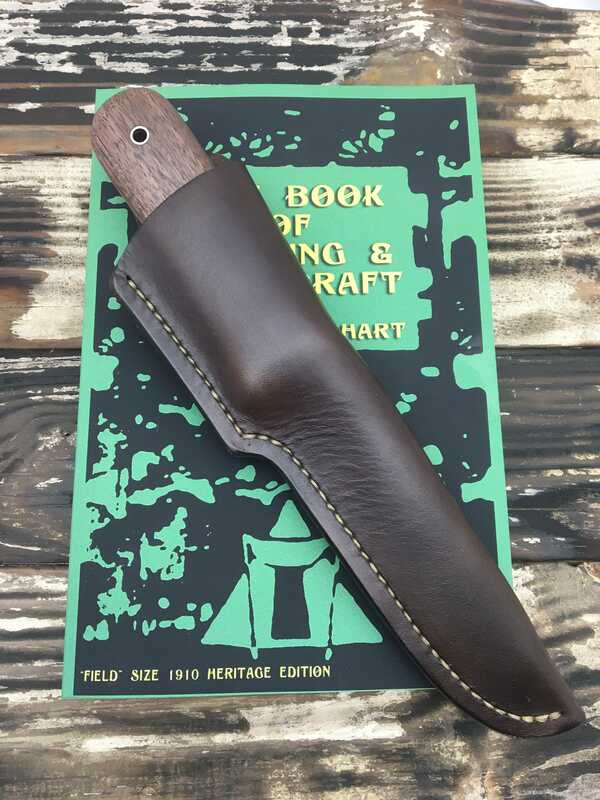 I went with a Kephart style sheath, too. Superb piece of craftsmanship Sarge. I like that nice dark walnut. Back when I first found the museum pics I wanted to make some of the small copper rivets like the original sheath. Never did it though, just lost the motivation. I am really glad you've kept the motivation to bring this project so far. It suits my persnickity nature. It just comes along better and better. What a great job you have and are doing with these. As someone once said the ox is slow but the earth is patient. Thanks, guys. The first couple were ok but I'm really pleased with the last two. Unknown, I buffed the scales on #5 with black magic compound - that darkened them some. 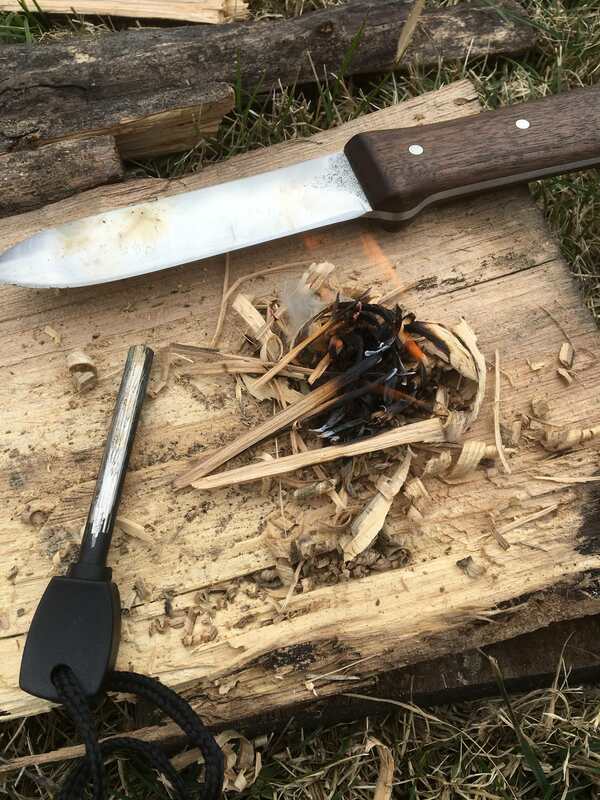 I put boiled linseed oil on them instead of the Tru-Oil I've used on the previous knives. I found some copper rivets pretty close to the museum sheath but decided not to use them on this most recent sheath. I'm sure I'll try then at some point. 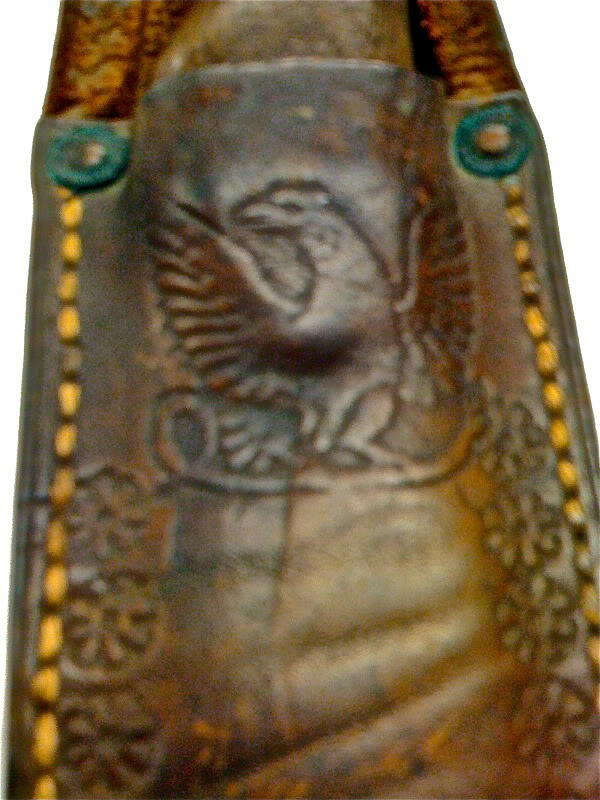 I wish I had a nice clear pic of the phoenix tooled on the museum sheath. 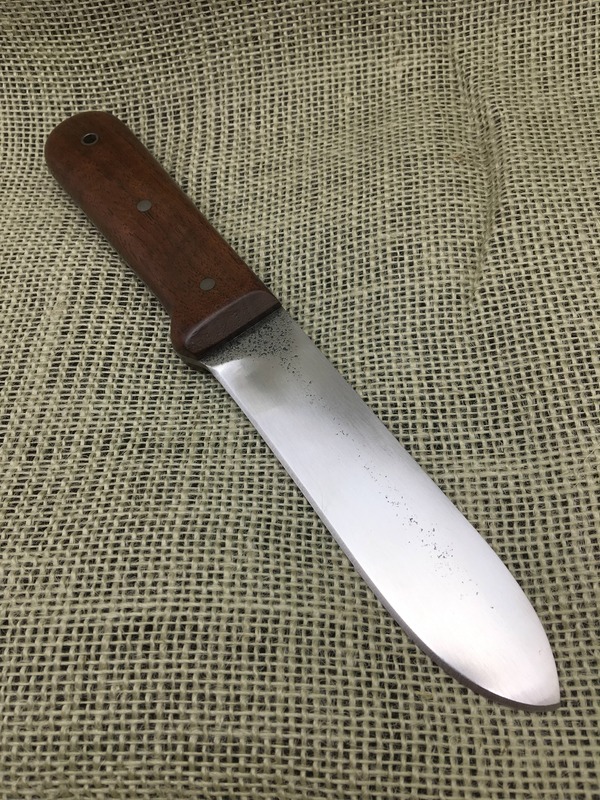 The knife is a gorgeous, perfect as possible clone of the original in MY mind's eye. 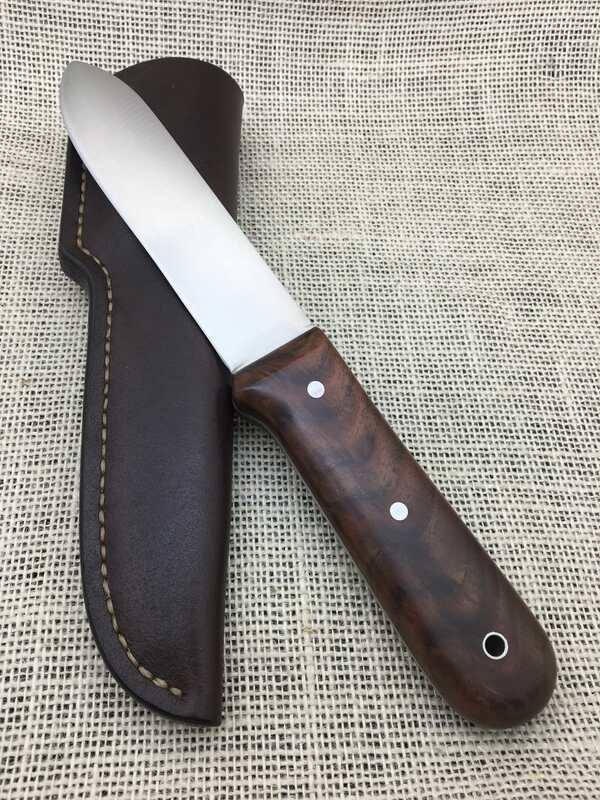 The sheath, I want to talk to you about. You found some small, tiny CU rivets and burs? Do you mean found like an old box full in a flea mkt. or a source you're willing to share? I can think of a number of projects that would be enhanced with something like that. The walnut looks totally natural btw. Thanks for the links, Unknown. I don't know what the image is. 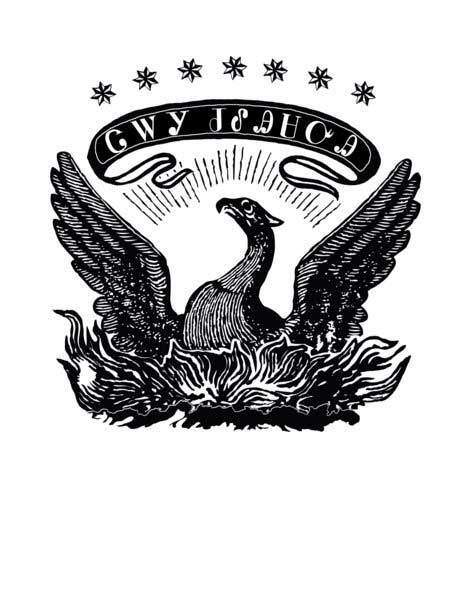 A phoenix is usually depicted in flames, this bird is clearly not. Looks like the bird on the sheath is carrying a snake? Looks like the snake's tail is looped on the left and possibly its head to the lower right? Carrying a snake would be way more eagle-like. It's harder to tell what's going on at the bottom of the stamp/tooling... head turned to the left, one leg to the right, maybe some tail feathers, can't quite make out the left leg. I REALLY want to try to reproduce it one of these days. I found mention that the copper R and B are number 14 size. I wonder who the person was that designed that eagle stamp? You can bet it was not John James Audubon, though.....the legs are bending the wrong way at the knee joint! 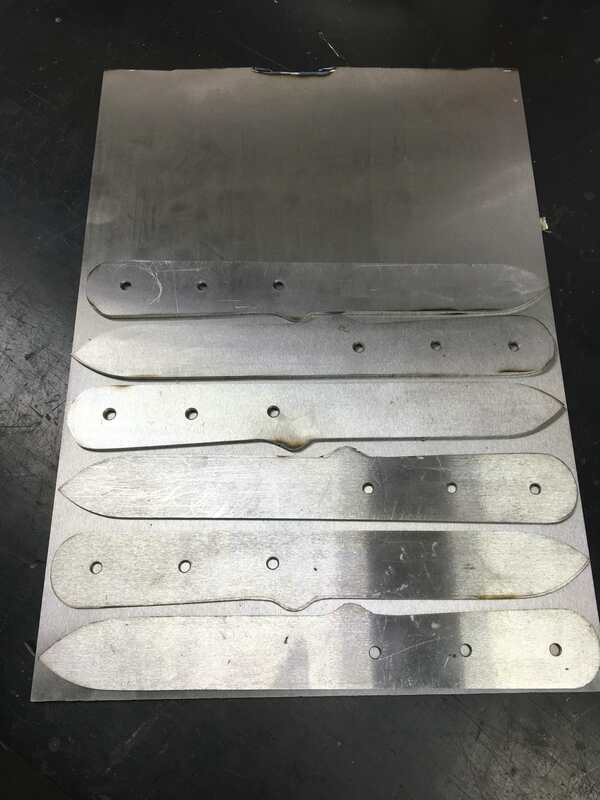 On the Kephart front, I've got scales mounted and epoxy curing on the first O1 tool steel version. Very pleased so far. 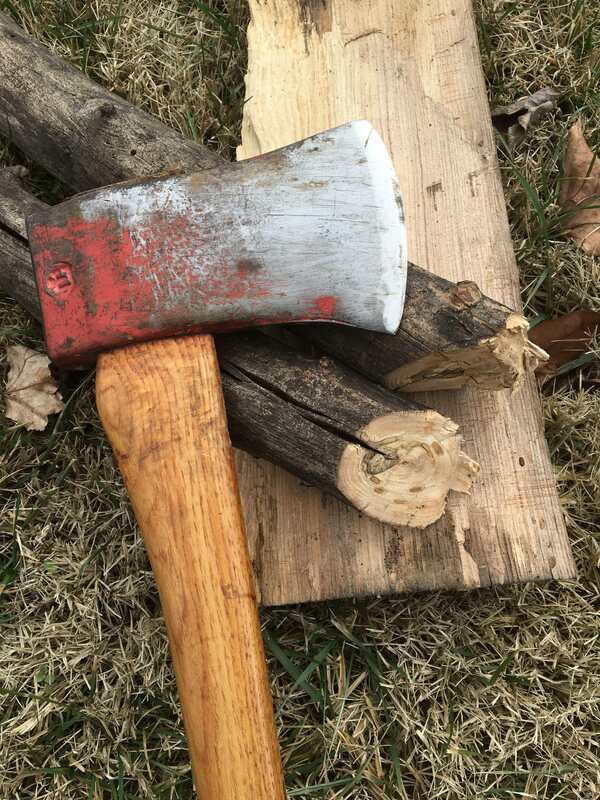 I'll post pics as soon as I get the handle shaped. Sarge you said you had small Cu rivets. I'd not like ordering some and end up with something to large. Do you know what size you have? I assume they are matching in size to the HK sheath. I checked my stash ... they are from Tandy and the only thing I saw in the store that I thought might work. The are size #12 - the shaft is 1/2" long, the head and washer are about 3/8" in diameter. I have been wondering about this the last couple of weeks. Thanks for the updates. Here is the first one in O1 tool steel ... Peters' Heat Treated, cryo treated, and Rockwell tested at 59C. I'm pleased with the grinds. At 6 oz, this one is about a half ounce heavier than the original but the balance is just right. Tired of 1.5" x 36" bar stock .... I found some O1 in 1/8" x 10" x 12"
Kephart would be frothing at the bit to get his hands on that one. It is a beautiful piece of work. Thanks for posting this Sarge. 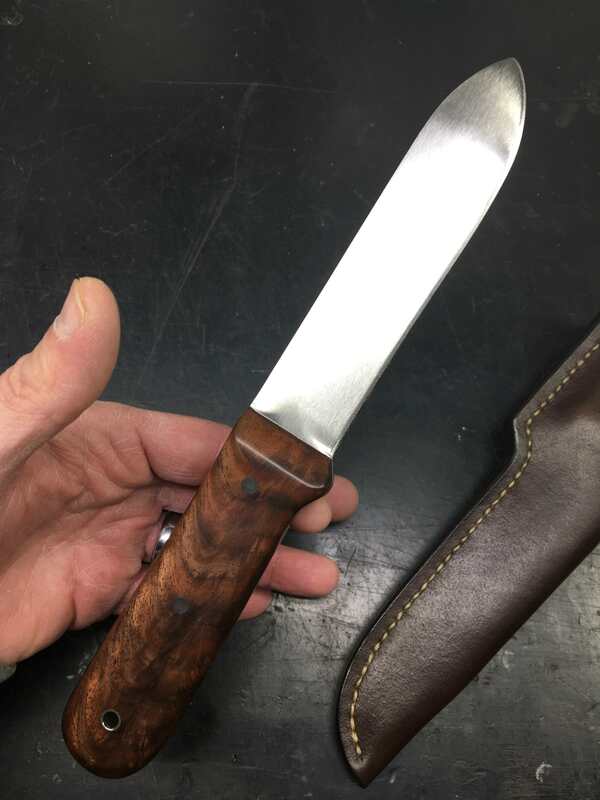 I'm a huge fan of Kephart styled knives and your version has to be one of the finest examples of Kephart's original knife that I've seen. So when can we expect to see them go up for sale, that's after Wolfy and Stan get theirs of course ? Thanks guys! I?m trying to make something Horace would give a thumbs up. Haha! Moe, let me see how long it takes me to get the next 2 or 3 finished then I?ll have a better idea how long it will take to complete the knives I have promised.